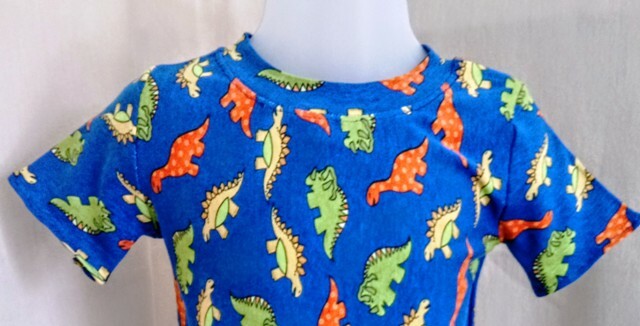 A lovely, hand made, boys t-shirt with a dinosaur design, to fit age 1-2 years. 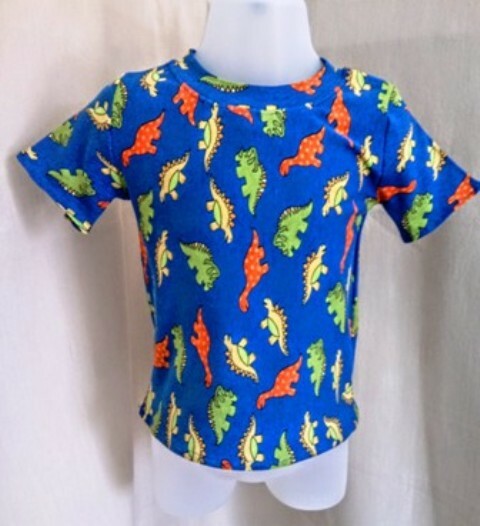 All little boys love dinosaurs so you can be guaranteed that your little one will love this t-shirt and will want to wear it again and again. It is fully washable and no need to iron. 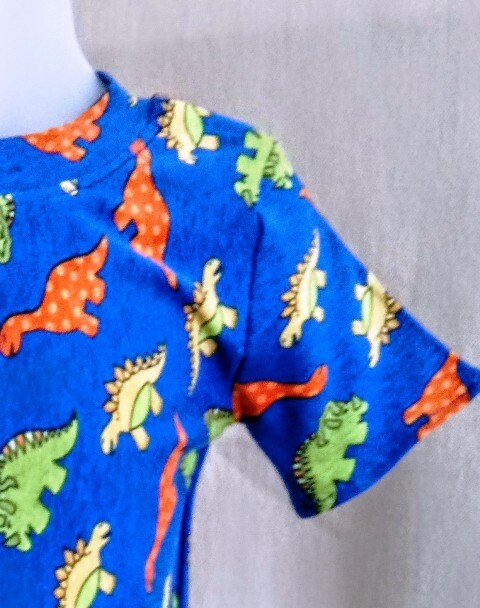 Made in a very soft, high quality, stretch jersey fabric.